On Sunday, February 21st, actor Andrew Koenig was report missing by a friend in Vancouver after Mr. Koenig visited to watch some of the Olympic games. 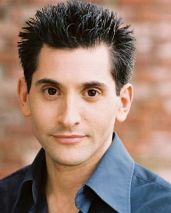 According to the San Francisco Chronicle, Andrew Koenig was found dead Thursday of an apparent suicide. Friends and Family of Andrew went to 1,000 acre Stanley Park on Thursday and made the discovery of Andrew’s body themselves. They found Koenig’s body in a heavily wooded area 100 feet of what is called The Bridal Path. It could not be seen from walking along a path. Over last weekend, and the week before, friends and family of Andrew Koenig used the Facebook page of burlesque artist Jenny Magenta, with whom Andrew stayed with. For reasons not known to this blogger, Jenny’s entire Facebook page is down, gone.